Interviews and discussion about politics, culture and current events from a Christian conservative perspective. On the Caffeinated Thoughts Podcast, we continue our look at the Republican candidates in Iowa Senate District 1. There is a three-way contest for the Republican nomination to challenge State Senator David Johnson (I-Ocheydan) and our host, Shane Vander Hart, interviews the second candidate in this race - Brad Price. This episode we are returning to our look at the Republican candidates in Iowa Senate District 1. There is a three-way contest for the Republican nomination to challenge State Senator David Johnson (I-Ocheydan) who was elected as a Republican, but left the party after Donald Trump was nominated for President. The first candidate, Zach Whiting, joined the podcast on April 10th. Today, our host Shane Vander Hart interviews Brad Price who also seeks the nomination. Price has lived in Spencer and the Lakes area in Northwest Iowa for over 45 years, 39 of these years spent with his wife, Lori. They have 2 children and 5 grandchildren. A 1978 graduate of Spencer High School, Price is 59 years old and has been in business for over 40 years in Northwest Iowa. Throughout these years, his numerous businesses have employed hundreds of people which he says is a compliment to his strong business sense and commercial development commitment to the area. Price says he is very passionate when it comes to economic development in Northwest Iowa. His political message is simple, "Keep Iowa Strong with a Common Sense Approach to Government." Vander Hart asked Price about why he decided to run to serve Iowa Senate District 1, his qualifications and experience, where he stands on life, education, taxes, spending, and religious liberty. We also plan to interview Jesse Wolfe, the third candidate running in the Republican primary for Iowa Senate District 1, as well as, as many candidates in other contested primaries as we can in order to help educate our listeners prior to the June 5th primary. You can subscribe to our podcast on Apple Podcasts, Blubrry, Google Play Music, Stitcher, SoundCloud, TuneIn, Podbean, or Spotify. The Caffeinated Thoughts Podcast can only exist due to the generosity of our sponsors. This show is sponsored in part by American Principles Project, a conservative political think tank in Washington, D.C. American Principles Project believes that human dignity should be at the heart of public policy. They work in all 50 states and in Washington, D.C. to promote life, religious freedom, local control over education, authentic economic progress for working Americans, and a return to constitutional principles, such as federalism. 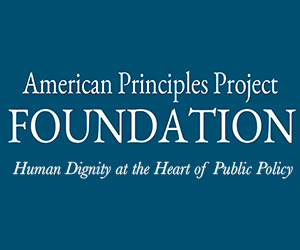 Want to help American Principles Project? Visit their website today. Sign up for e-mail updates, send a small (or large) donation their way, help them out. They are a great group. 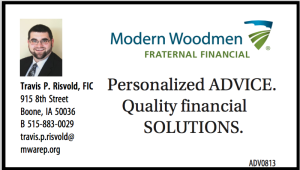 Also, be sure to check out Travis Risvold of Modern Woodmen of America. Call Travis at 515-883-0029. He can help you find the life insurance YOU need. Copyright 2017 Caffeinated Thoughts. All rights reserved.